reaConverter's latest edition includes a wide range of features that help you save time while managing your conversions. One of the popular ones allows you to automatically move the original image files in a customized location after conversion, thus helping you keep your files in good order while skipping a series of steps that involve relocating the files manually. The software's simple and clear interface helps you move original files in a matter of seconds. Load all the images you intend to process and convert with reaConverter. 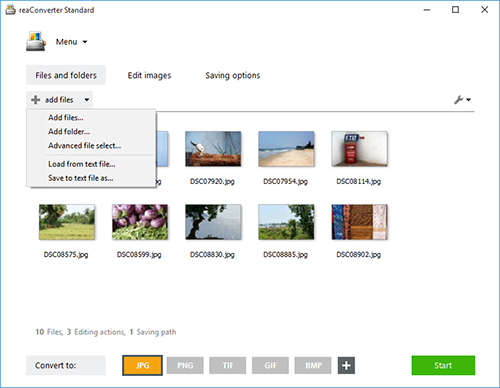 You can add them one by one or add entire folders, either by browsing your computer or by using the drag-and-drop tool. Here you will find the File options tab, where you can tick the Move original files to box. 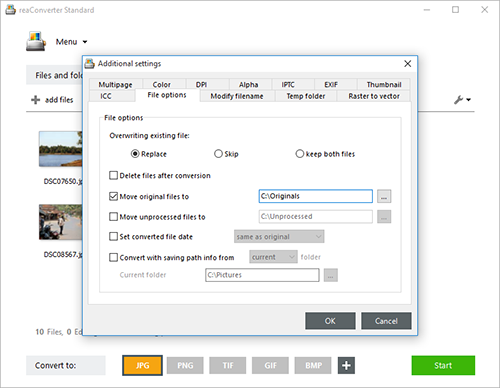 Other options included here involve replacing the original file with the converted one and setting a converted file date. In case you don't want to apply any image editing (available options include Resizing, Cropping, Watermarking and many more) go straight to the Saving options tab and choose a location for your converted files. Next, decide which format you want for your output images. reaConverter covers a large variety of image formats, including Vector Formats, Windows Metafiles, Adobe Vector Formats and rare extensions. 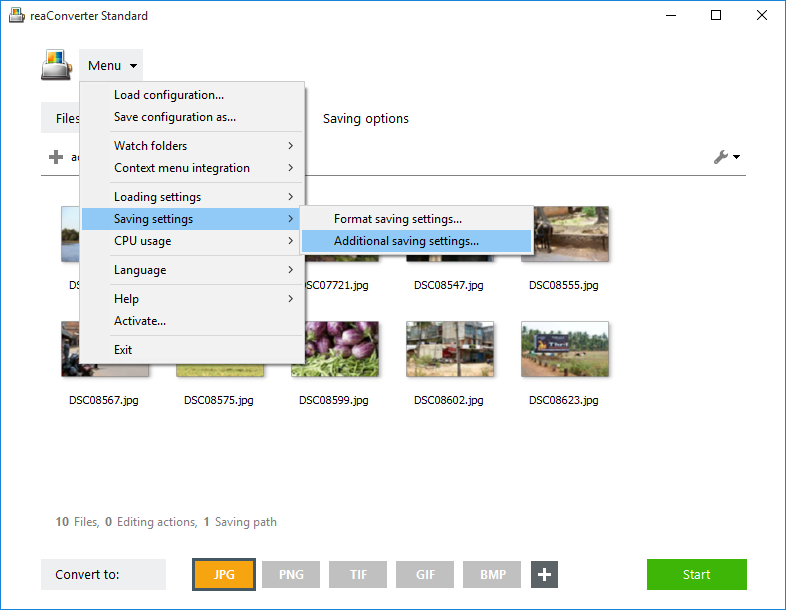 Finally, click the Start button and your newly converted images while soon be done, while the original ones will be moved in your desired location.